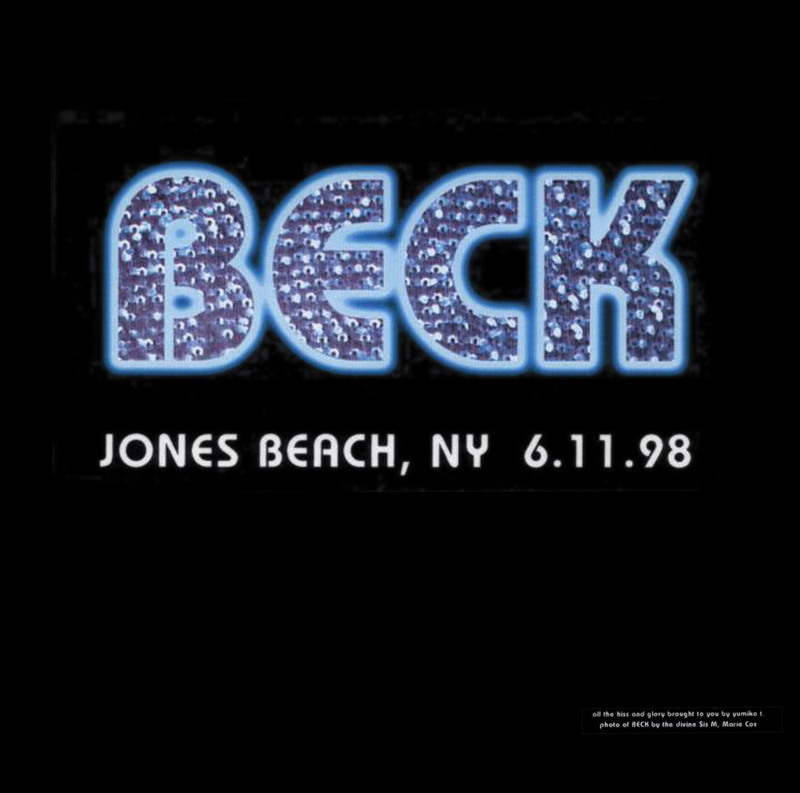 These June 1998 shows came about 6 weeks after Beck finished Mutations, and about 6 weeks before he went and officially started Midnite Vultures. With nothing quite out to promote, the shows were just some fun stage shows, mixing in some of the new Mutations material. The bootleg sound quality is not great, but just clear/loud enough to get a sense of the whole thing. 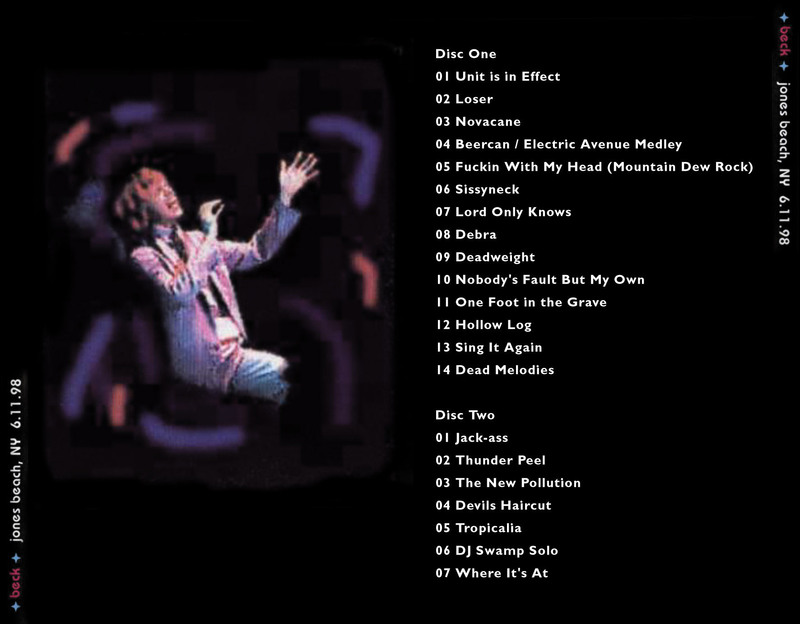 "Debra" seems particularly epic and unrestrained, and includes a bit that would show up later on Midnite Vultures (mainly riffing on the "full-grown man and not afraid to cry!" line). There's also a funky coda at the end of "Debra," which I don't believe I've heard before. The "One Foot" is kinda different, it's still a stomping harmonica groove but Beck seems to be doing different harmonica things. He also changes the chorus to "living three feet in the grave!" "Sing It Again" as always is highlighted by Smokey Hormel's tasty guitar solo. Same with "Dead Melodies." Afterwards, Beck says it's the first time they played those songs live (likely true, with the band; Beck had played them solo before recording them for Mutations).